Every kid deserves the chance to get in the game. 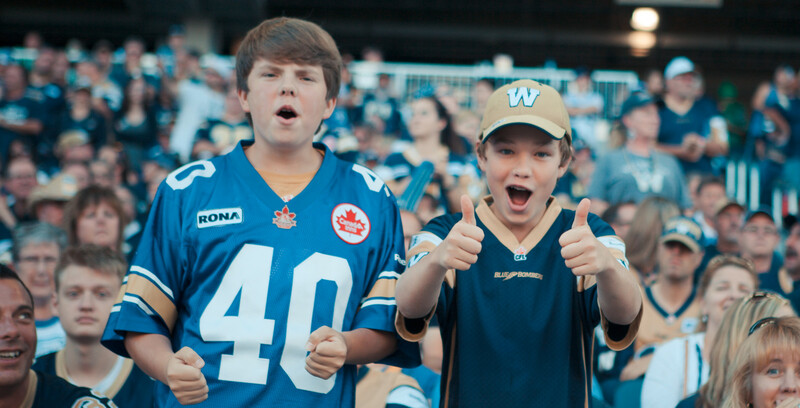 A new partnership with the United Way of Winnipeg lets you donate your tickets to kids and their families to attend Bomber games at Investors Group Field. By supporting the In The Game program, you’re giving back to the community and helping kids foster a passion for sports – one ticket at a time. Donate single game tickets to deserving youth using the In The Game platform through your MyBomber Account, or, purchase season tickets and donate them, supporting up to 350 youth to attend games this year through United Way agencies. Through both options, you will receive a charitable tax receipt for the face value of the tickets from the United Way of Winnipeg. It’s easy to donate your tickets, simply follow the steps below. Login: Log into My Bomber Account [Click Here] using your Bomber account ID or the email address associated with your account. Manage: Click “Manage My Tickets” and navigate to the game you’d like to donate. Select a Charity: Select the charity to receive your tickets (In the Game: United Way Dream Seats is the only option) and confirm that the seats will be removed from your account and donated to the selected charity. You may also choose to donate anonymously. Click on “donate now” to continue. Thank You! You will receive an email confirming your donation, and the United Way will receive an email notifying them of your donation. You will receive a tax receipt directly from the United Way via e-mail for the face value of the tickets you’ve donated.